A medium-sized western Colorado town that serves as the gateway to the state’s magnificent canyonlands and red rock area, Grand Junction is an easy-to-access launching pad for western Colorado’s many attractions. Locally-grown organic foods and wine make Grand Junction an unexpected gourmand haven. Nearly 20 wineries operate in the Grand Valley, where cabernet sauvignon and chardonnay flourish in the warm days and cool mountain nights. 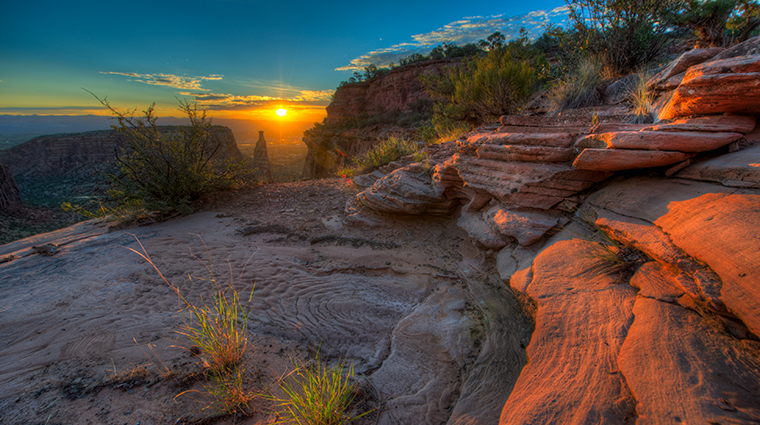 The Colorado National Monument provides acres of monoliths and red rock scenery to explore, with wildlife sightings—from bald eagles to big horn sheep—practically guaranteed. Though the area stays mostly snow-free in winter, nearby mountains like local-favorite Powderhorn and the famed Telluride (about 2.5 hours by car) provide plenty of downhill action.